Love can strike anywhere, but it’s likelier if it has some help. 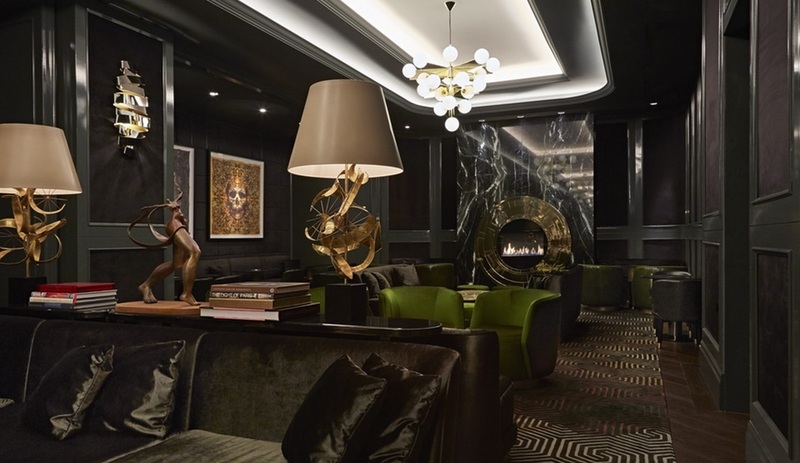 Here are three far-flung hotels guaranteed to inflame the passions of design lovers in particular. 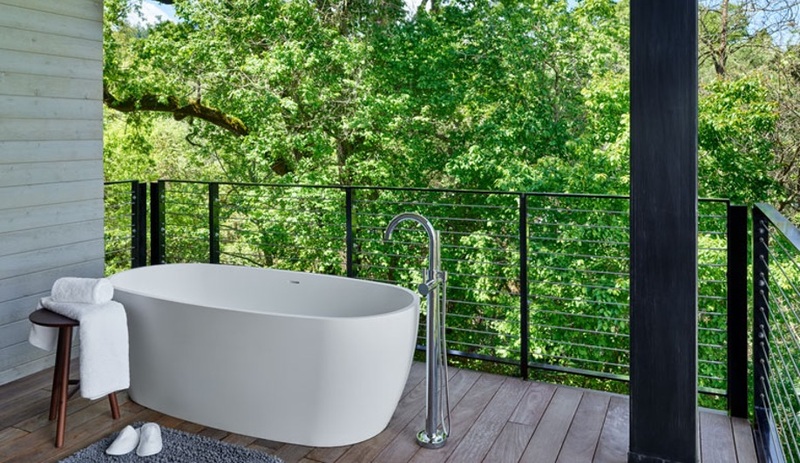 Designed by interior design firm Yabu Pushelberg, Las Alcobas Napa Valley is centred around a restored Victorian-style mansion in the town of St. Helena, California, a wine country hub surrounded by top vintners. 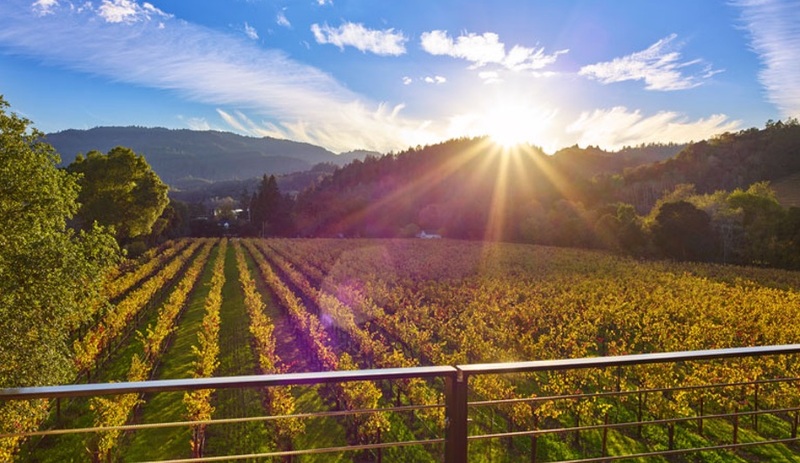 In fact, Las Alcobas itself is adjacent to the Beringer Vineyard, a spot offering impressive vistas across rows of grapevines. 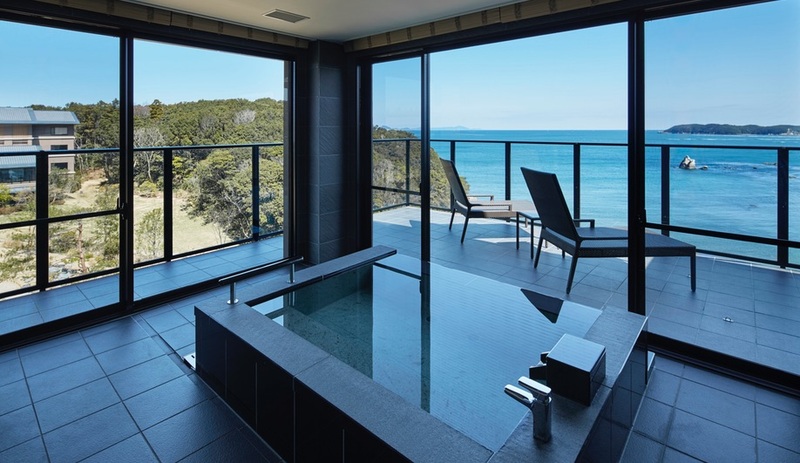 Some balconies in the 68-room hotel even feature freestanding bathtubs, allowing guests to soak tired muscles while soaking up the romantic views. 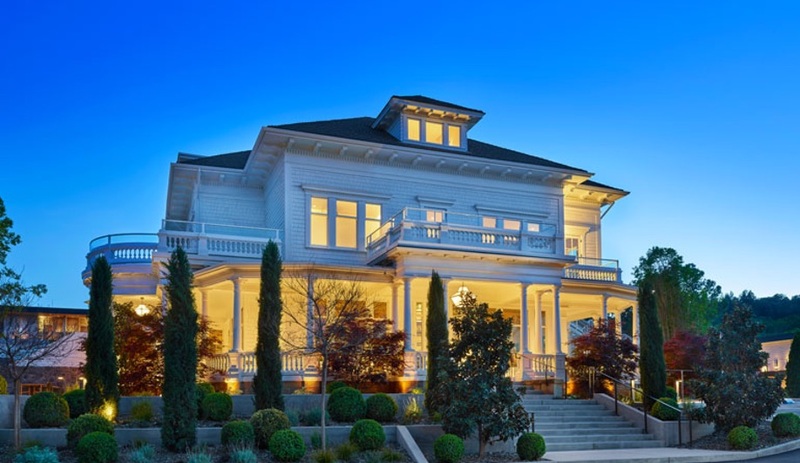 Beyond the rooms – which feature light wood paneling, oiled bronze hardware and glass doors that open onto private outdoor spaces – the property boasts a 50-seat restaurant within the mansion (now called Acacia House). 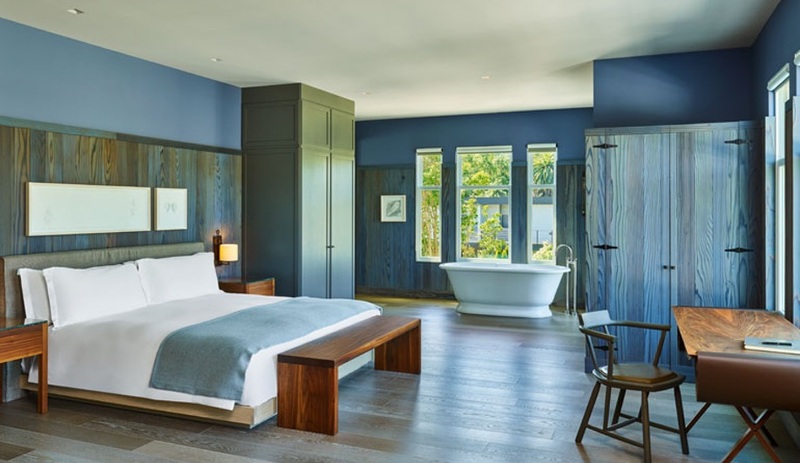 New construction includes three more buildings for accommodations, a salt-water pool and a 325-square-metre barn-style spa defined by soaring ceilings and exposed stained-cedar beams. 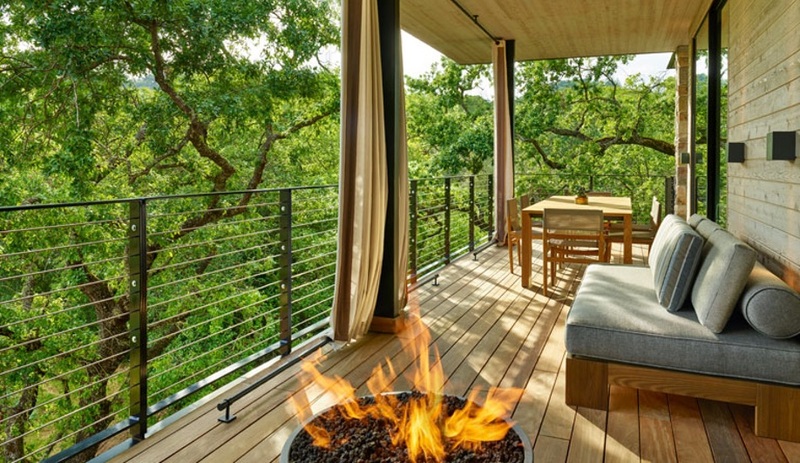 Overall, YP principals George Yabu and Glenn Pushelberg strove to express a local aesthetic, promoting connections to the landscape as much as possible (a lobby lounge with a porch offers eastern-facing views of the surrounding valley and mountains) and making liberal use of “warm, honest” materials such as oak, woven jute and linen. 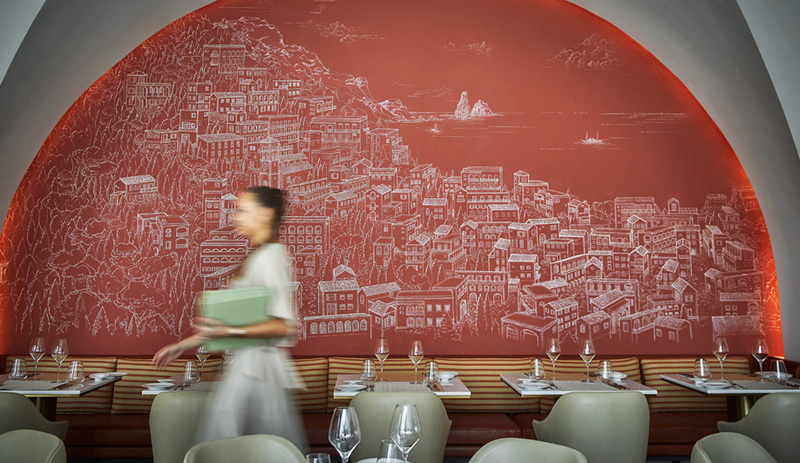 Moss and Lam, the Canadian studio responsible for the artwork, took a similar approach, producing paintings, sketches and multimedia works evocative of the area’s unpretentious character and ambience. In the 96 rooms and suites, this includes strategically positioned lights sparkling on lacquered furnishings and exotic marbles. 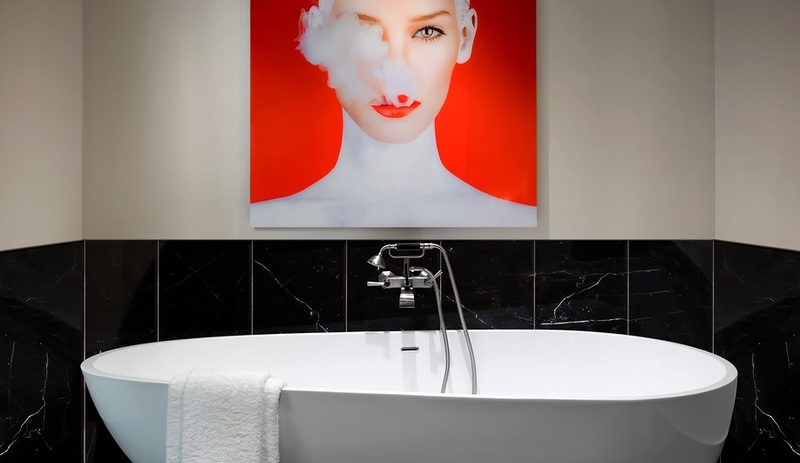 Beds featuring supple blue leather upholstery sit atop graphically patterned carpeting in the bedrooms, while bathrooms boast sleek white soaker tubs set against vibrant poster art. The adult playground vibe extends to the public areas. 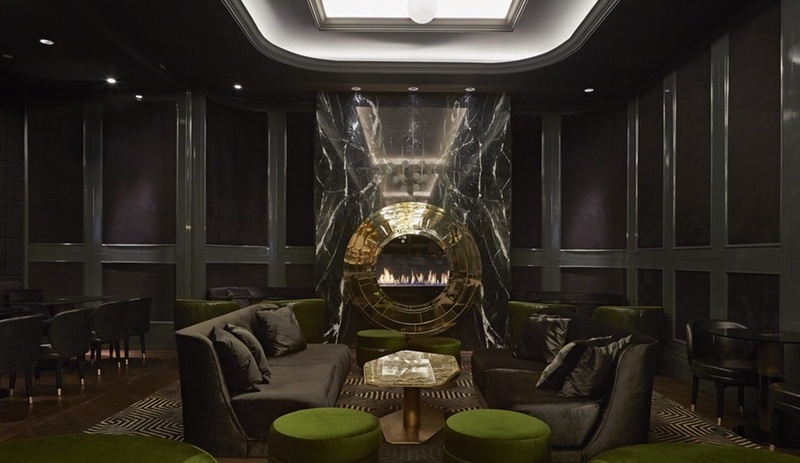 Located just off the lobby, the dimly lit ground-floor bar is dotted with plush green velvet seating and marble-topped tables trimmed in gold; a dramatic black-marble fireplace dominates one end of the space. On the 44th floor, a restaurant and bar offering panoramic city and lake views is marked by white oak walls, ivory ceramic tabletops and floor-to-ceiling windows overlooking an infinity pool. 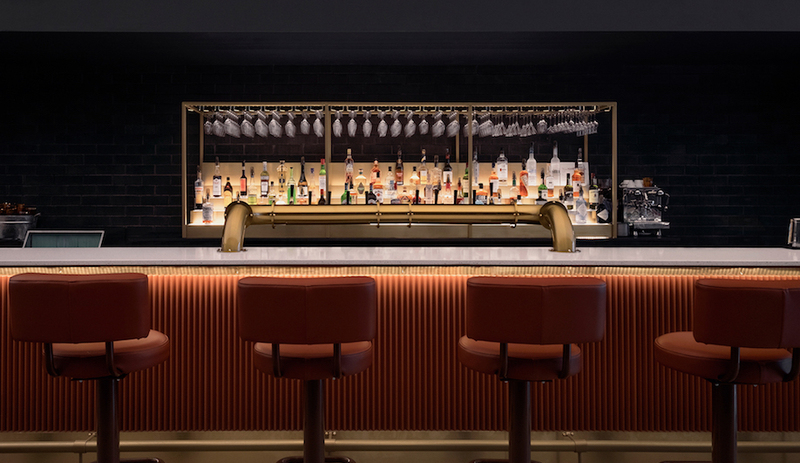 Directly below the rooftop restaurant is a private events space that can accommodate up to 230 people, although it’s clear from its design and sensibility that the Bisha is geared most enthusiastically to one-on-one encounters. 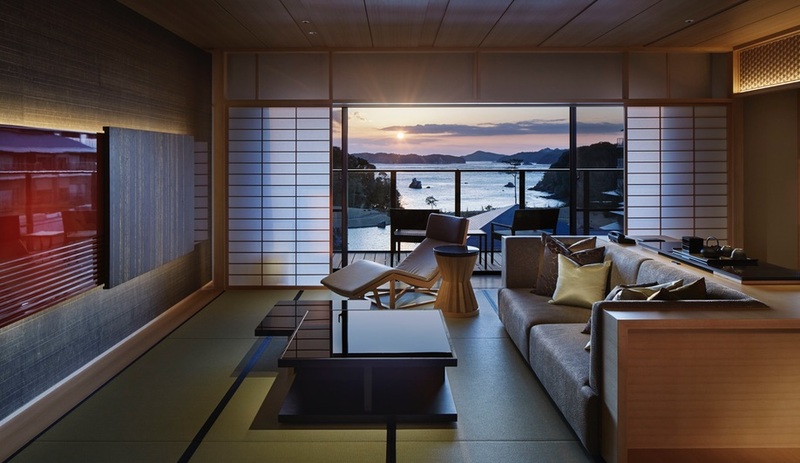 And now for something completely different: Private Resort XIV Toba Bettei, a cluster of low-rise guestrooms overlooking Ise Bay – prime pearl-diving territory – on the south-central coast of Japan’s Honshu Island. 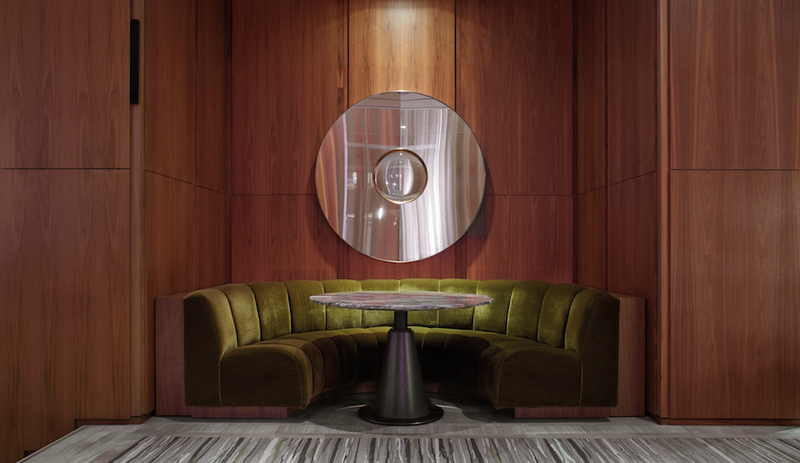 Whereas the Bisha Hotel epitomizes big-city sexiness, this 2017 ABB Leaf Award winner is a model of quiet sensuality. 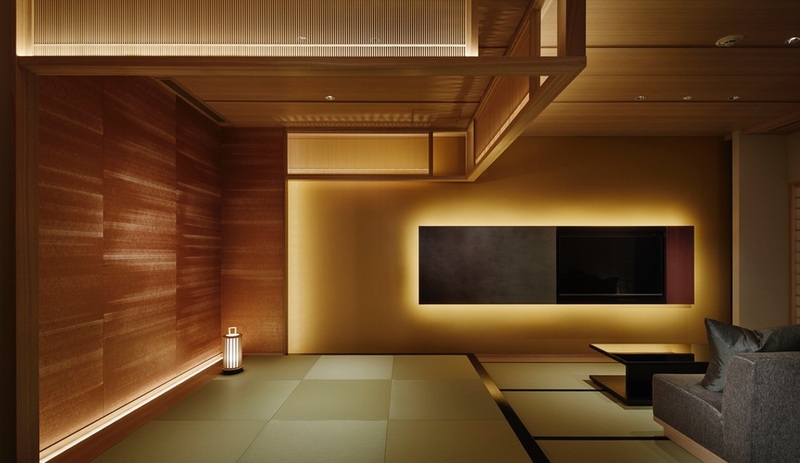 Designed by Yasui Architects & Engineers, the building conforms to the principle of teiokuIchinyo, the exquisite harmony that can exist between a building and a garden. 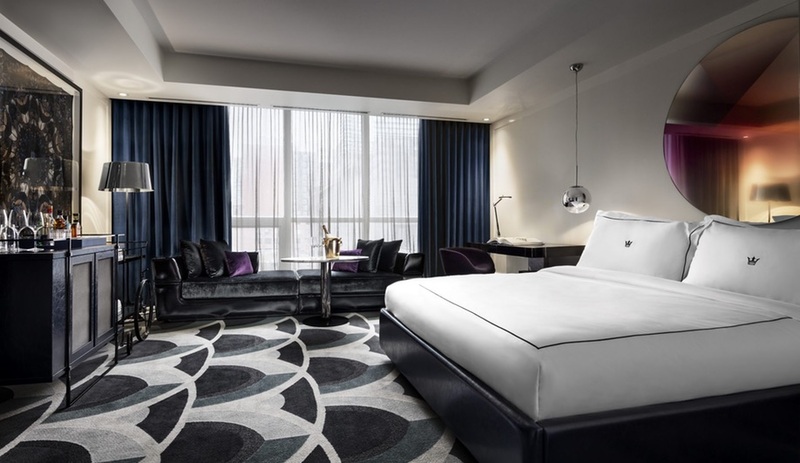 The guest rooms, overseen by Nikken Space Design Ltd., were conceived along these lines as well. 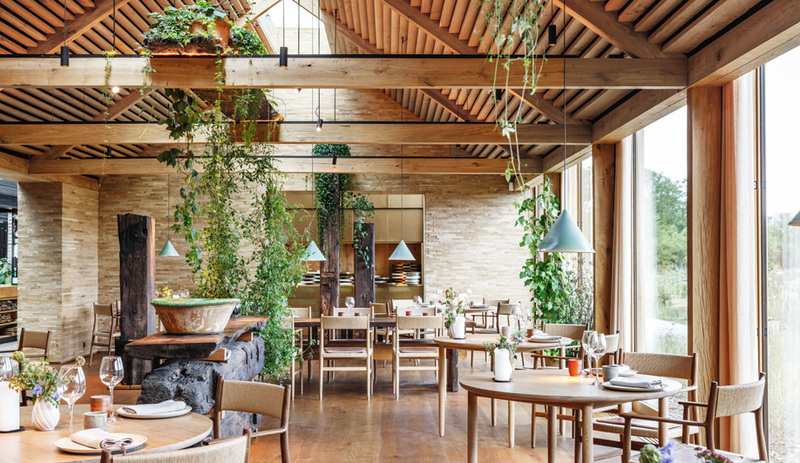 In each room, asymmetrical planes that conform to nature and sliding paper doors that divide spaces and cloisters serve as physical links between the indoors and outside. 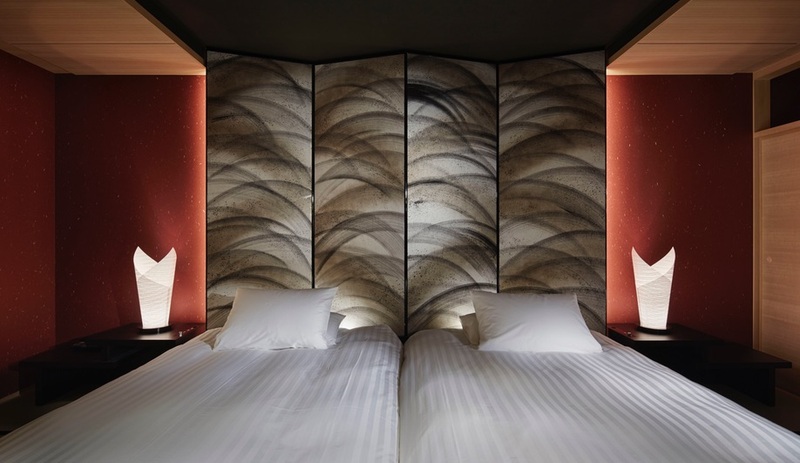 In particular, headboards double as bedside screens to protect against the wind, while traditional Japanese paper screens and lattices allow light and breezes to pass through gently. In order to enhance exterior views, furniture has been arranged low to the ground to enable clear sightlines; paper-frame lamps contribute low lighting. 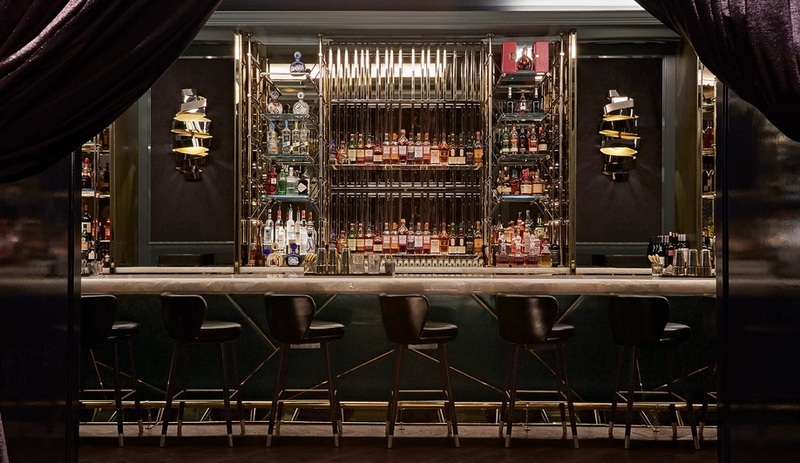 Traditional wood, paper, gilt leaf and lacquer make up the materials palette. The idea, ultimately, is not to compete with nature. 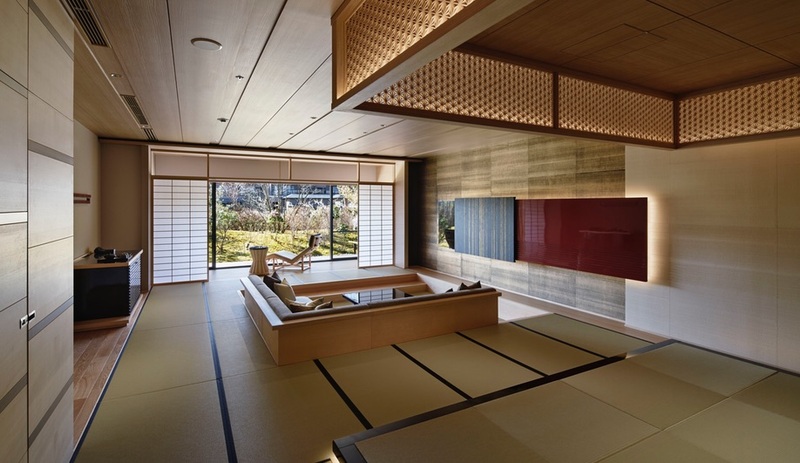 To that end, elemental tones such as gold, silver and copper have been partnered with traditional Japanese colours like vermillion, indigo and mustard yellow to create a unique yet understated effect. The result is a hotel scheme and atmosphere that encourages communion with the landscape, self and significant others.